Please e-mail info@mysandybeach.com for special pricing or shorter stays in the winter season. WOW !!!!! RENT BEAUTIFUL BAY BREEZE FOR A WEEK IN MAY AND GET A 20% DISCOUNT !!!!! 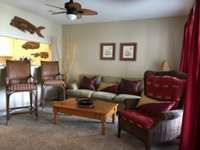 Enjoy the beautiful sunrises on the screened porch while watching the dolphins play.